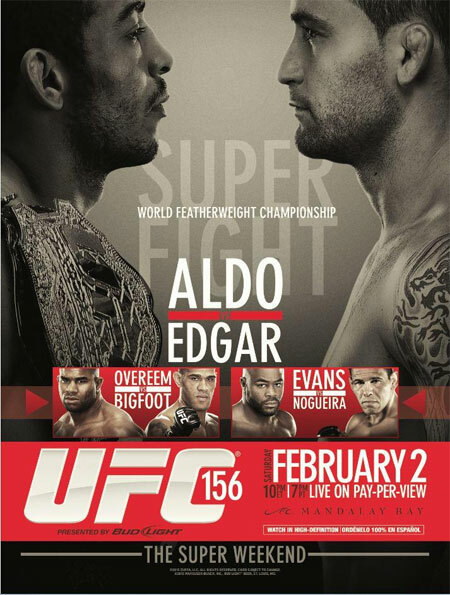 With less than a month remaining until the curtain is drawn on “UFC 156: Aldo vs. Edgar,” an 11th fight has been added to the February 2nd lineup. On Tuesday, it was announced bantamweight Chico Camus will welcome undefeated Dustin Kimura to the big leagues. Camus collected his fourth straight victory by posting a decision win over Dustin Pague at UFC 150. The tango marked Camus’ Octagon premiere. Kimura is perfect through his first nine professional outings. Hard to believe, but KIMURA is a submission specialist with six of his wins coming by way of tap out. The 135-pound affair will likely kick off the night’s festivities. It is unknown whether this scrap completes the roster or if the promotion will look to add a 12th bout.